The diaspora of scholars exiled from Russian in 1922 offered something vital for both Russian Orthodoxy and for ecumenical dialogue. Liberated from scholastic academic discourse, and living and writing in new languages, the scholars set out to reinterpret their traditions and to introduce Russian Orthodoxy to the West. Yet, relatively few have considered the works of these exiles, particularly insofar as they act as critical and constructive conversation partners. This project expands upon the relatively limited conversation between such thinkers with the most significant Protestant theologian of the last century, Karl Barth. Through the topic and in the spirit of sobornost, this project charters such conversation. 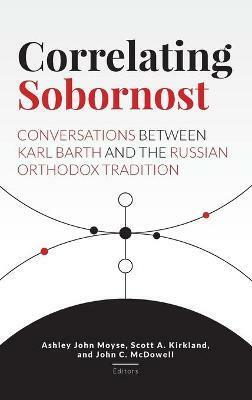 The body of Russian theological scholarship guided by sobornost challenges Barth, helping us to draw out necessary criticism while leading us toward unexpected insight, and vice versa. This collection will not only illuminate but also stimulate interesting and important discussions for those engaged in the study of Karl Barth's corpus, in the Orthodox tradition, and in the ecumenical discourse between East and West. Foreword - Rowan Williams; Introduction-Ashley John Moyse, Scott A. Kirkland, and John C. McDowell; Part I: Historical Theology; Part II: Systematic Theology; Part III: Moral and Political Theology; Afterward - Met. Kallistos Ware. Scott A. Kirkland is an honorary postdoctoral research associate at Trinity College, University of Divinity, Melbourne. Ashley John Moyse is research associate at Vancouver School of Theology, University of British Columbia and Trinity College, Melbourne. John C. McDowell is the Melbourne-based director of research at the University of Divinity.